Serving the investment and trading community since 2004. Supporting multiple estates, currencies and trading instruments. Stator Lite, Standard, Professional and Platinum. "A Swiss army knife for traders and investors!" Stator is feature-rich, comprehensive portfolio management software for Windows. 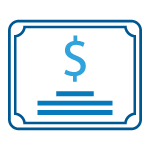 Used internationally and trusted by traders, investors, hedge fund managers, self-managed superannuation administrators, speculators, accountants and anyone wanting an edge in today’s financial markets. 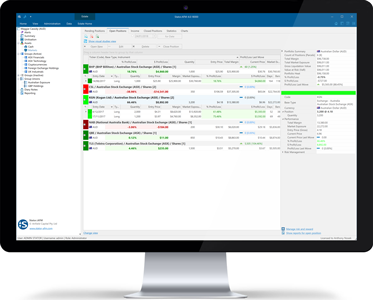 Manage trading activity for companies, trusts, individuals and more. Over 50+ currencies, reconciled back to a base (Estate) currency. 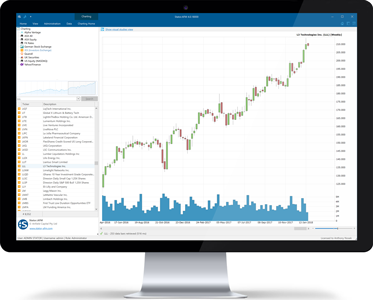 Shares, CFD’s, Futures, Index, Foreign Exchange, Options and more. 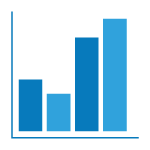 Charts, statistics and reports give you complete visibility and control. Track the overall portfolio as well as sub-portfolios and individual strategies. Extend functionality with the Python programming language. Connect Stator to any source of price or trade data via plugins. Gain greater insight via advanced visualisations of your data. Start managing your assets like a true professional. Click on the button below to start your free 30 day, fully functioning trial of Stator. Choose from Lite, Standard or Professional (contact us for Platinum).